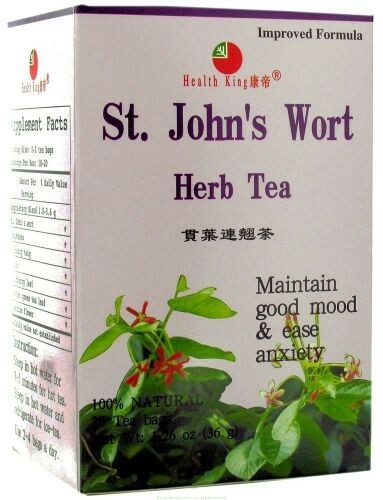 St. John's Wort Herb Tea is made of wild St. John's wort and Siberian ginseng. They contain hypericin, flavonoids, vitamins A, B2, selenium, cardiac glycoside, aromatic aglycone, etc. 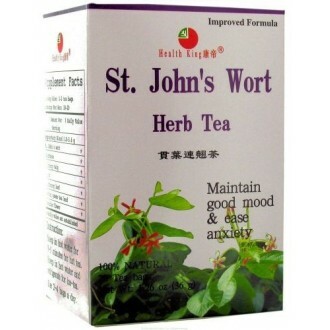 They tonify the nervous system, ease anxiety and depression, support the immune system and help maintain normal functions of the stomach, kidney, liver and heart, thus ideal for general well-being and vitality.